This is a spicy ginger flavored prawn fry/roast prepared in South Indian style. Heat oil in a separate kadai; Temper it with curry leaves and add finely chopped onions. Spicy and delicious.. These prawns looks so flavorful. Hello dear Poornima, thank you so much for stopping over my space. 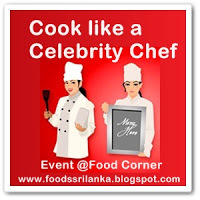 Glad to meet you and your yummy blog :) I'm hungry ever since I entered here..delicious recipes dear!!! I make similar prawn roast for my family and some times would add cooked rice and make fried rice...hehe. Also the masala has coated the prawns perfectly & since you are using only little oil to saute, i think it is super good healthy, at the same time rich recipe. Looks so delicious!! Drooling over here! !